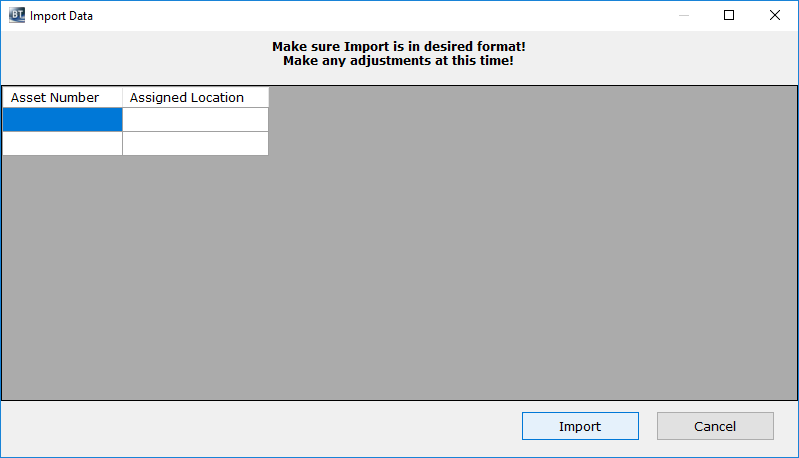 This Problem Article explains the issue of importing blank records into BACKTRACK with the BACKTRACK Import tool and explains what to do about it. After a BACKTRACK Import, blank records appear in the database. The records are assigned a unique Item No by BACKTRACK but there is no other data. Care must be taken on inspecting the import file. If using a simple text editor, like Notepad, go to the end of the data in the file and erase all carriage returns after the last data record. The cursor should be blinking immediately after the last character of the last field of the last record. Also, during the import, you can look for blank fields (typically at the end) of the data shown in the Import Data screen. 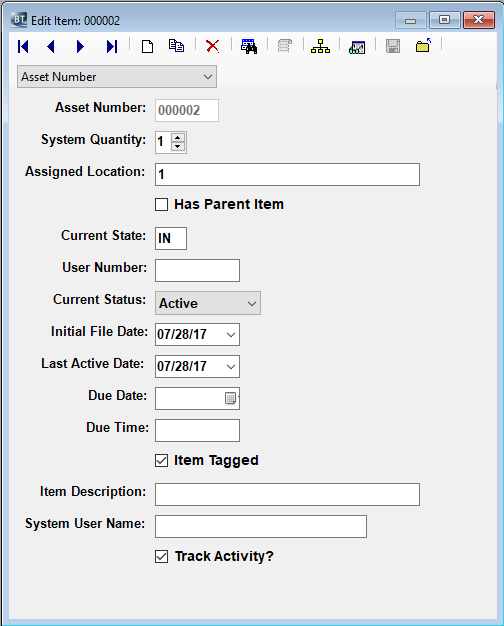 The Item_No field and Location_ID field MUST have a value for BACKTRACK to allow an import.